With the cost of everything rising, we have to find clever ways to save money. You can do that by installing energy efficient curtains and blinds, see how. Prices for everything seem to be going nowhere but up, putting a major squeeze on household budgets everywhere. People are having to become more and more creative in finding ways to save money where they can. And one such clever way is with window treatments that can save on utility bills, such as energy efficient curtains and blinds. But how do window treatments help save money on energy bills? How do you know which options would work best for your home? And how many options are there to choose from? Turns out there are several great window treatments to choose from. Each helping to make your home a money-saving powerhouse. Let’s look at the top 9 options you have that can start subtracting dollars from your bills today. Energy Efficient Window Treatments Can Be Your Budget’s Best Friend. One of the best choices you can make for window energy efficiency is cellular shades. In fact, there very design is to function for this purpose. Made up of honeycomb-shaped cells that trap air within the pockets, they create installation between the window and your home’s interior. And for best results, opt for getting shades with three cells rather than two. Plus, the larger the pleat size, the more energy efficient it will be. Controlling the amount of daylight that comes through the window is easy. Cellular shades can operate from either the top-down or bottom-up. Shutters are mostly thought of as a decorative addition to the home, bringing charm and adding value to your home’s resale. And while it does do that, it also comes with a bonus of being energy efficient as well. Because shutters are custom fitted to each window, it allows for far fewer gaps than other window treatments. This enables the shutters to effectively shut out any cold or heat coming in from poorly insulated windows. Controlling daylight is easy as shutters can adjust to let in as little or as much light as needed. Blinds are a popular window treatment, coming in either vertical or horizontal styles. They also come in a wide variety of sizes, materials, and convenience features, such as Lutron blinds. This makes the possibilities seem endless. Due to the number of openings between each slit, window blinds are better at keeping out the heat rather than keeping it inside. This makes them more suited for warmer climates. And unlike shades, they are more adjustable in controlling light, glare, and solar heat gain. And if insulated blinds have more of a reflective surface on the exterior side, they are even more effective at reducing the heat gain from hot summer days. Curtains and drapes aren’t just for decoration. They can also work double-duty at helping your household save on rising energy bills. Energy efficient curtains and drapes effectiveness depends on the fabric color, thickness, length, and where they hang on the window. Thicker, medium colored fabric tends to be the most efficient. And the fabric that hangs outside of the window frame and to either the window sill or floor is best. For added efficiency, pair drapes with window blinds or shades. This doubles up the protection. In contrast to other window treatment options, solar shades allow you to see outside while controlling the temperature at the same time. Essentially, it’s the best of both worlds. Solar shades use an opaque material that allows you to see through, and at the same time, it blocks harmful UV rays that can damage furniture and your energy bill. And the shades come in varying degrees of transparency to meet any need you may have. It’s worth noting that while solar shades provide complete privacy during the day, at night your home’s interior lights will allow people to see in. If you need more privacy in the evening hours, best to use with drapes that you can close. Roman shades are made of thick, insulating material which makes it perfect for any energy efficiency needs. They come in a wide variety of colors and patterns which easily fit into any decor style. One drawback may be if you want full energy efficiency, the shade has to be completely closed. This blocks off any light or view to the outside. Though the shade can be controlled as either a top-down or bottom-up, giving you some options. Just when you thought quilts where only for your bed, they are now available for your windows as well. In the same idea as a bed quilt, window quilts are a quilted material that fits the dimensions of the frame. They roll up to open or roll down to close. And because it’s fitted to the window frame, there are fewer gaps for air to escape, making them an incredibly energy efficient option. Much like window tinting used in automobiles, window film used in homes protects the interior from the sun. The film applies to the window panes, blocking out damaging UV rays and heat. It also can be customized to any tint, UV blocker, and thickness. And since the film can block the sun from heating your home up in the winter time, it is best used in climates that are mostly warm. Awnings are window attachments that go on the exterior of your home. It’s a roof like a feature that shades your windows from the sun’s glare. In the warm season, this can add up to big savings on your energy bill. However, in the winter, it blocks out any heat you may want to help warm your house. To avoid this, you may want to install retractable awnings which will allow you to shade your windows whenever you like. Awnings come in a variety of materials and set-ups, making it customizable to any home exterior. 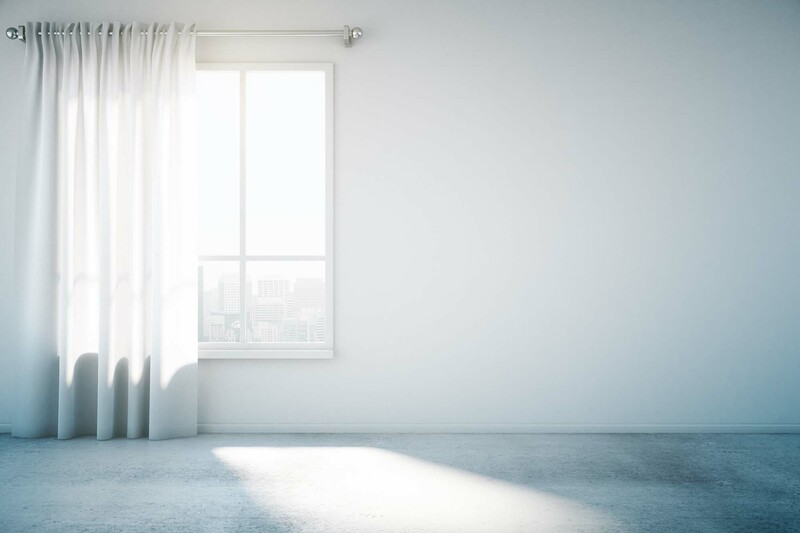 Now that you know window treatments, such as energy efficient curtains, can be a simple yet effective way to save money, all you have left to do now is pick out which color you like. Want to know if window replacement is in your near future? Click here to find out the signs you should be looking for. Can consolidating debt save you money?